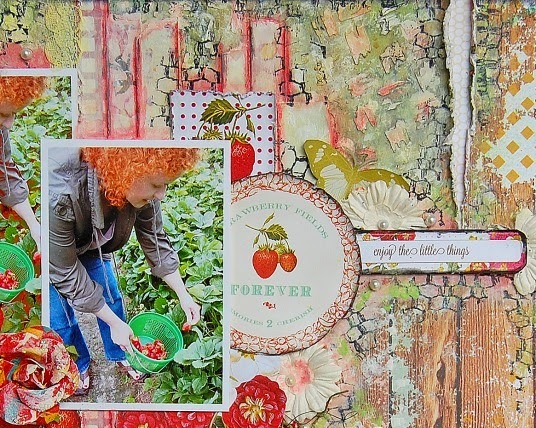 Treasuring Memories: My Creative Scrapbook August Kit Reveal Blog Hop! 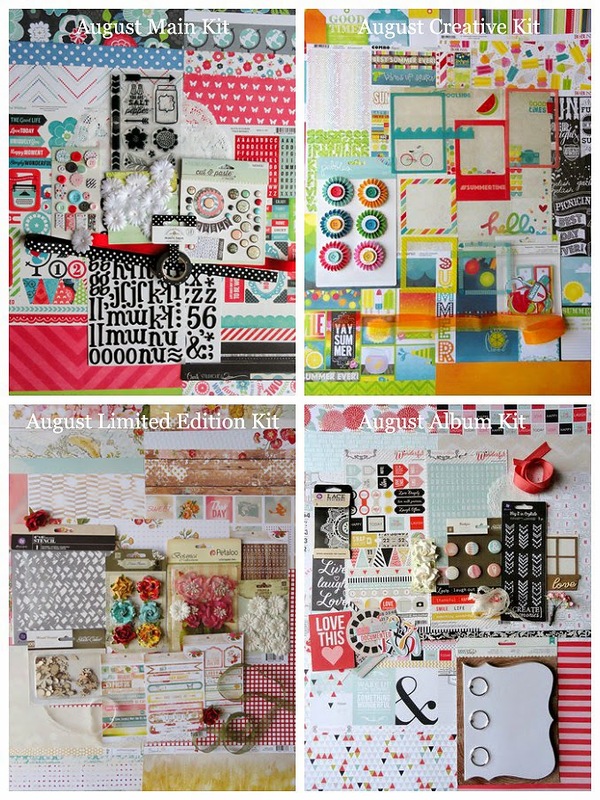 Welcome to the My Creative Scrapbook August Kit Reveal Blog Hop! 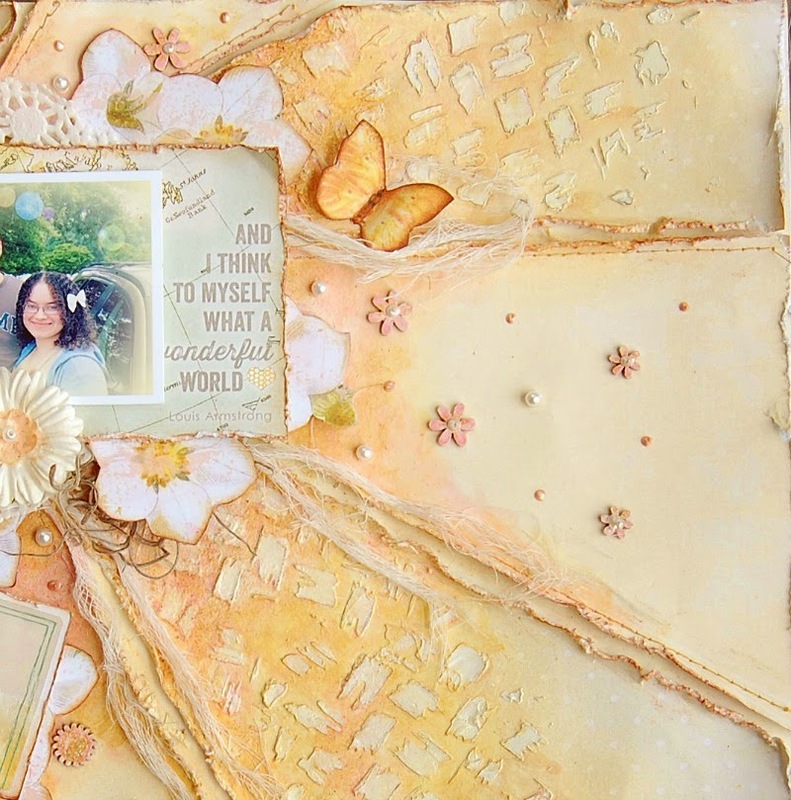 If you came from Maiko Kosugi's blog you are right, if not go ....here to start the blog hop! 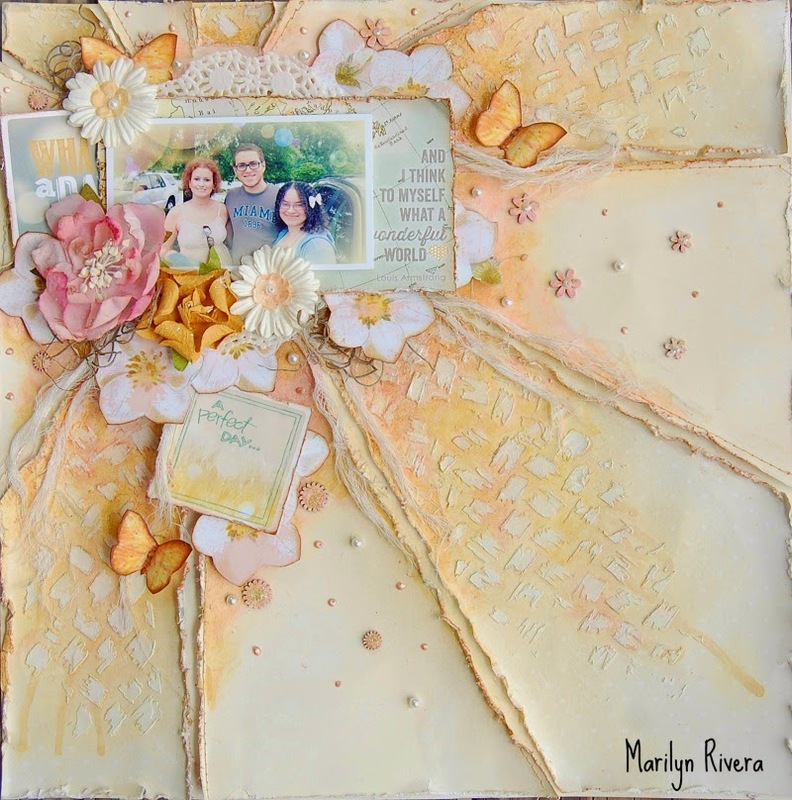 My Creative Scrapbook is thrilled to celebrate the reveal of the beautiful August kits with an inspiration-filled blog hop complete with beautiful PRIZES! The design team has prepared a spectacular assortment of projects for you, so be sure to visit each blog to soak up all of the inspiration. 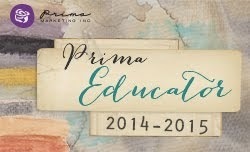 But that’s not all… there are more prizes to be won… Prima, Prima, and more Prima! Don’t forget to leave comments as you hop along to each blog for chances to WIN! There’s something for every style! 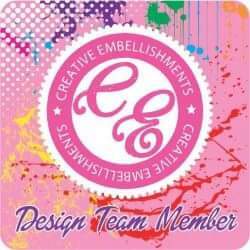 Are you a My Creative Scrapbook kit club member? If not, now is a great time to join! 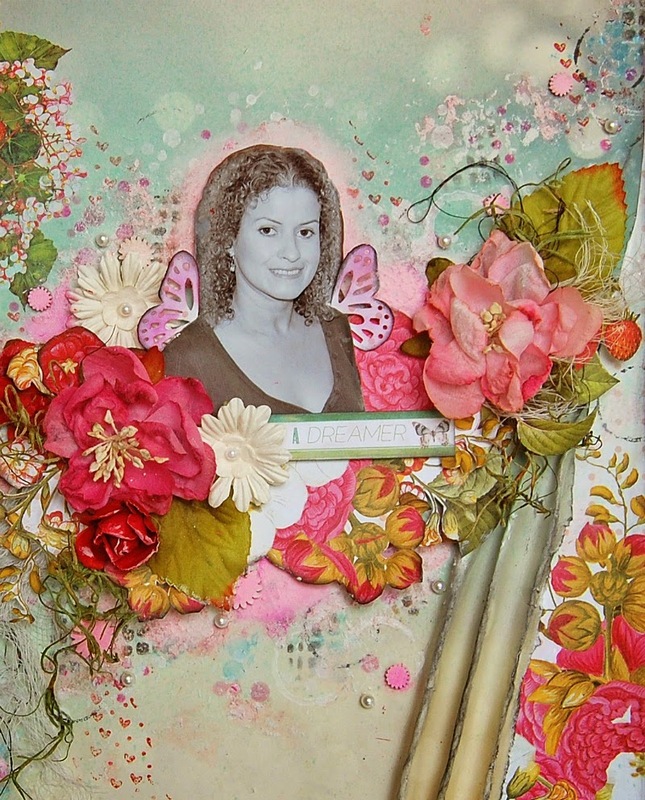 Did you know that My Creative Scrapbook also offers a variety of Add-ons? 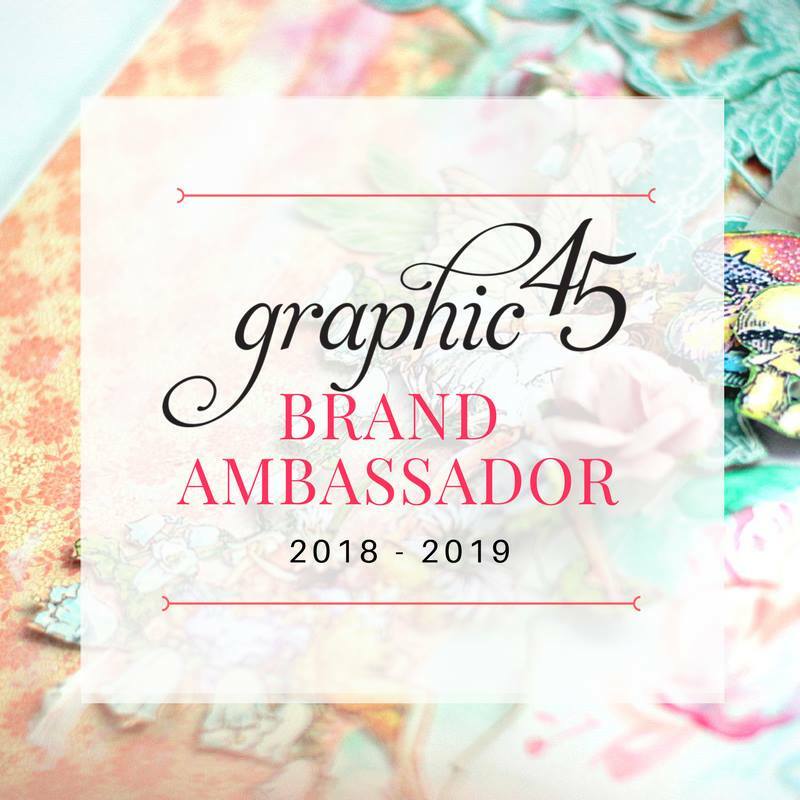 Choose from flower kits, mixed media kits, off-the-page project kits, project life style kits, and more… there are even Lindy’s Stamp Gang spray sets available! This page has many techniques, I started with the sewing machine then I gave textures with the pretty stencil from the kit and homemade molding paste. You will see all my creative process in a video tutorial at the end of the post. For my second page I draped the paper in both sides and made some fussy cutting. 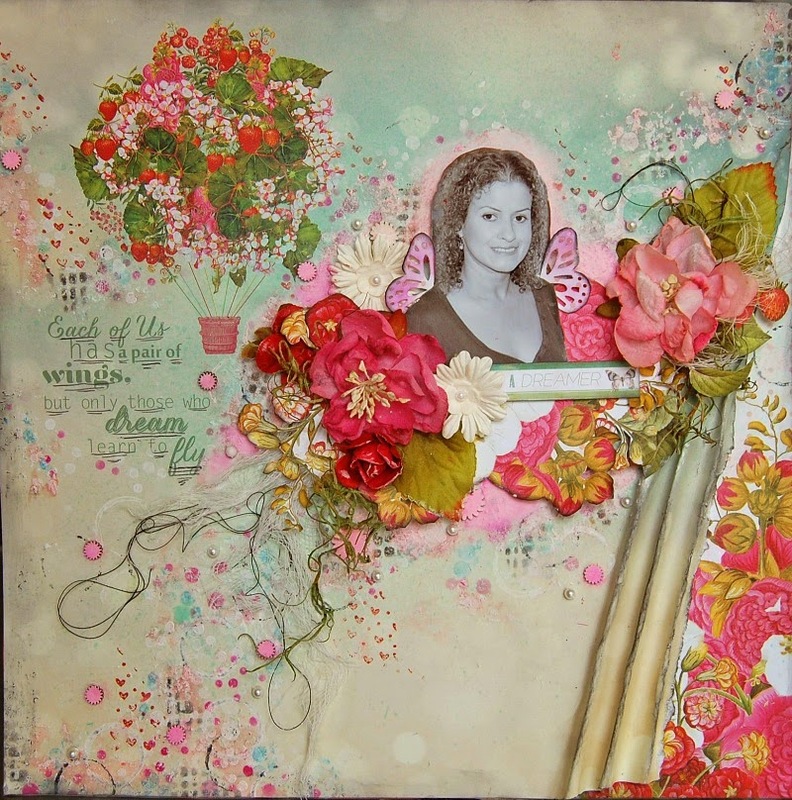 I worked with the Prima stencil and made some stamping. 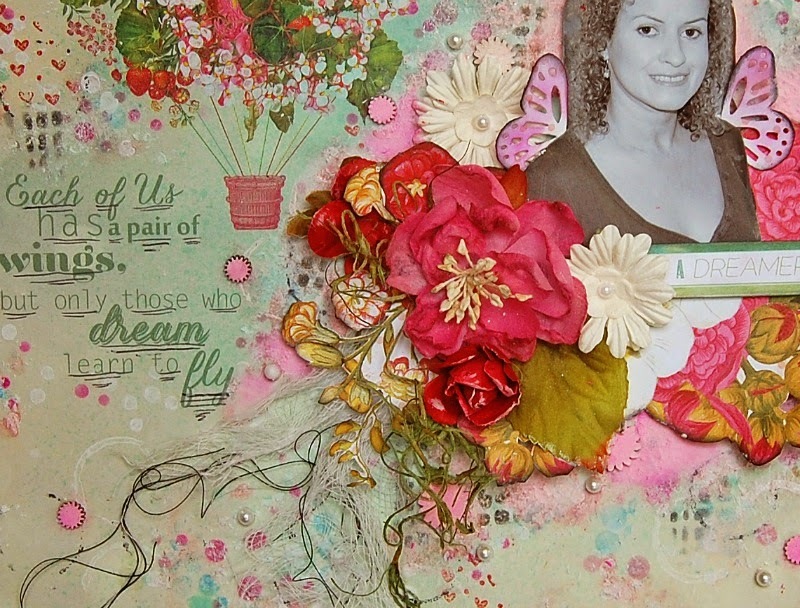 I was inspired in the quote to create this page, lots of stamping, paints and colors here. 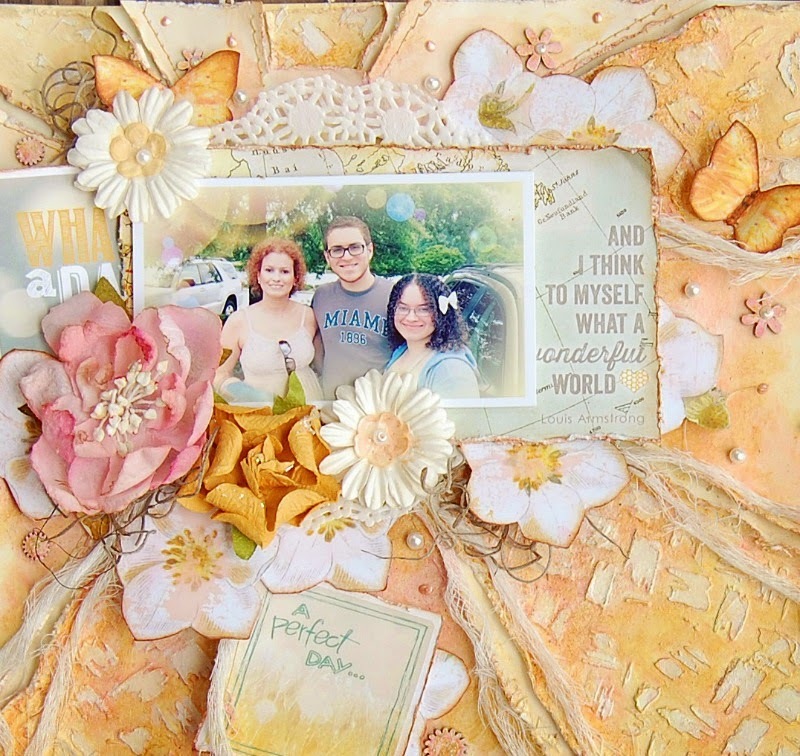 The blog hop ends on Friday, August 8, 2014 at 11:59 PM Eastern Time. 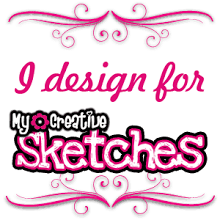 Winners will be announced on the My Creative Scrapbook blog on Monday, August 11th. 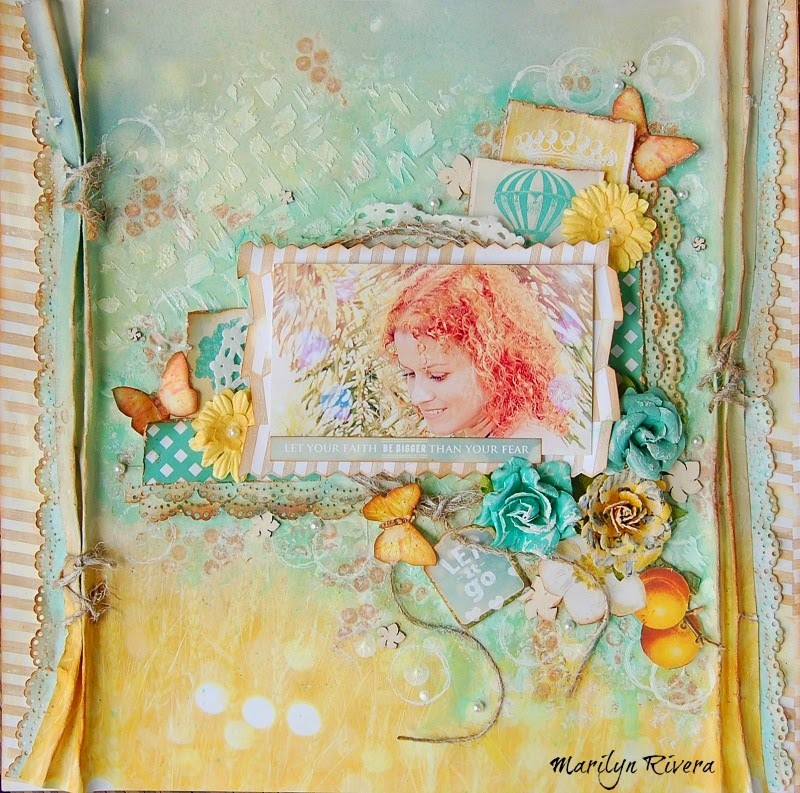 The next stop on the blog hop is Marta Lapkowska: http://artistycrafty.blogspot.com/'s blog. 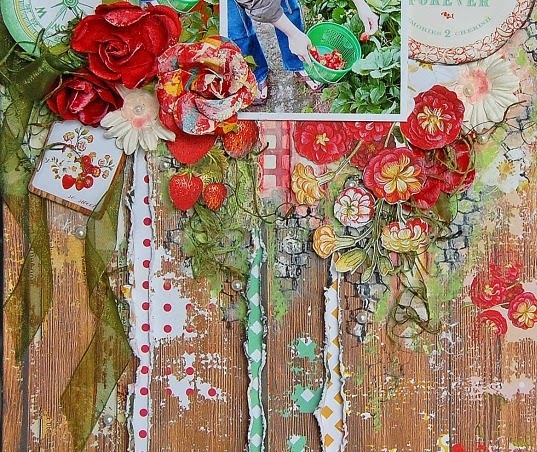 Wow these layouts are stunning, so much work on your back grounds.. fabulous photos.. love the textures.. These are gorgeous!!! Such texture! You layouts are so beautiful!! I can't wait every month to see your stunning work!! Such gorgeous projects, my friend! In love with that last one! 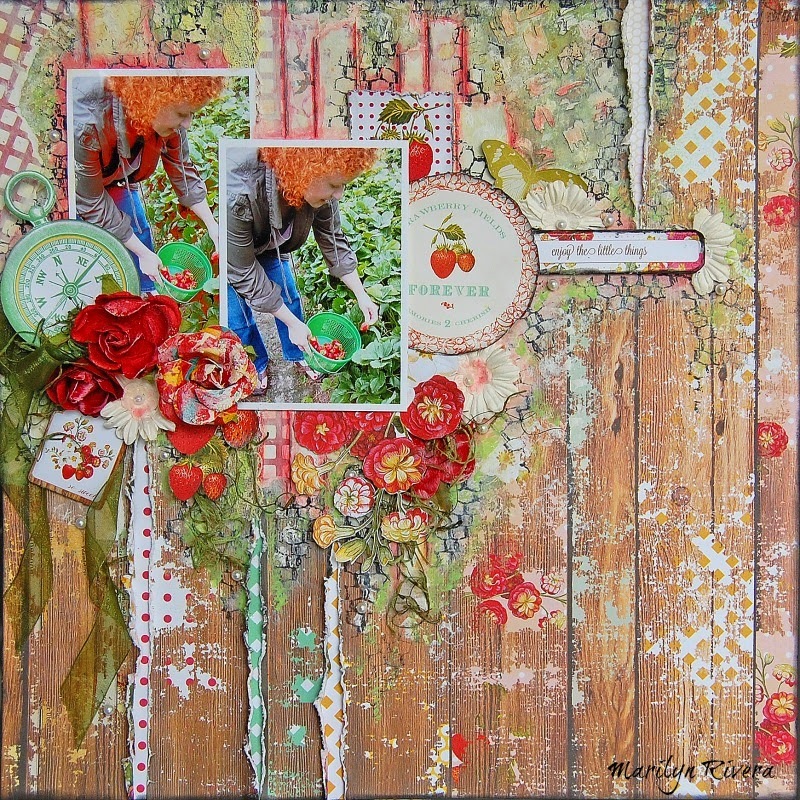 WOW, I found a new blog to follow, I love your style, these are just beautiful. Your work is truly inspired. 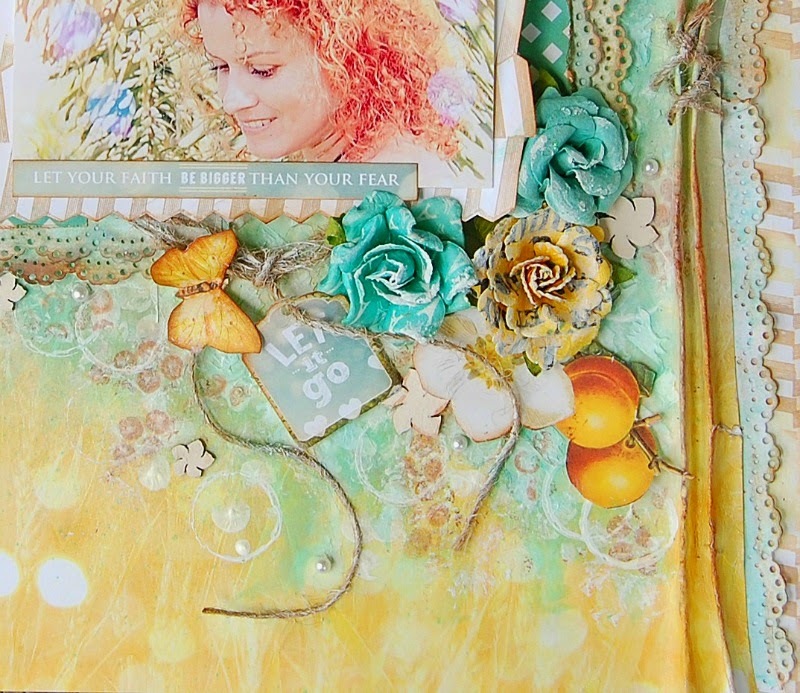 I love your use of colors and texture as well as the layers that keep drawing you into the layouts. Stunning. Thanks for sharing. 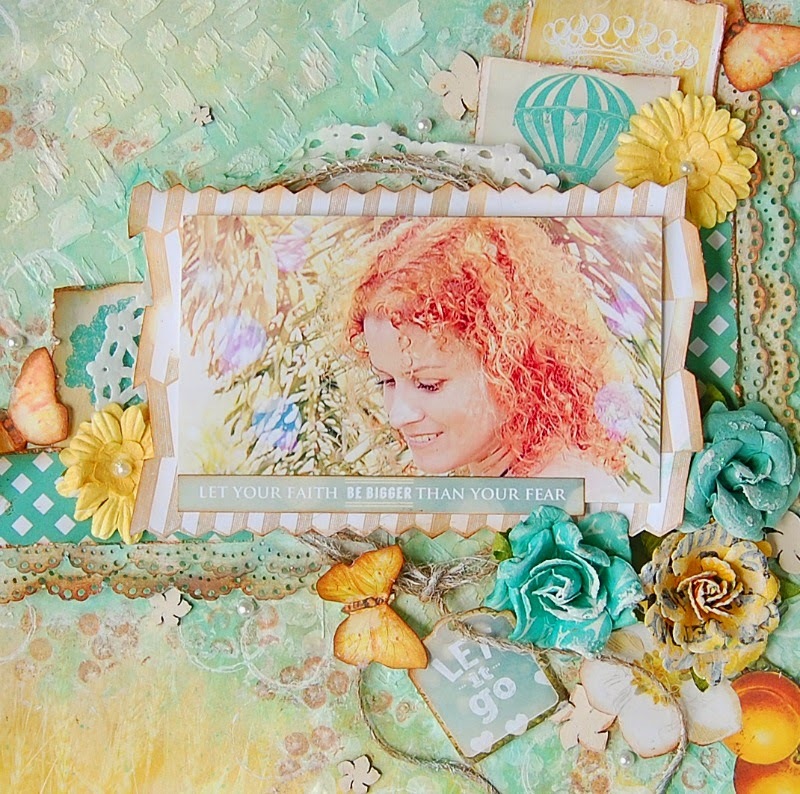 Love the texture and layering in all your designs! I adore you work, everything is stunning! Stunning work and so original!!! I love the texture look and feel. Gorgeous pages! Love the colors and textures! Amazing work! I simply love your work! 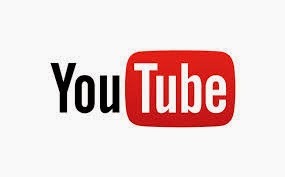 I just got home from vacation so I will have to come back to watch the video. I love your layouts! There are so many wonderful techniques on them! I will have to watch your video....I would love to try some of those techniques! 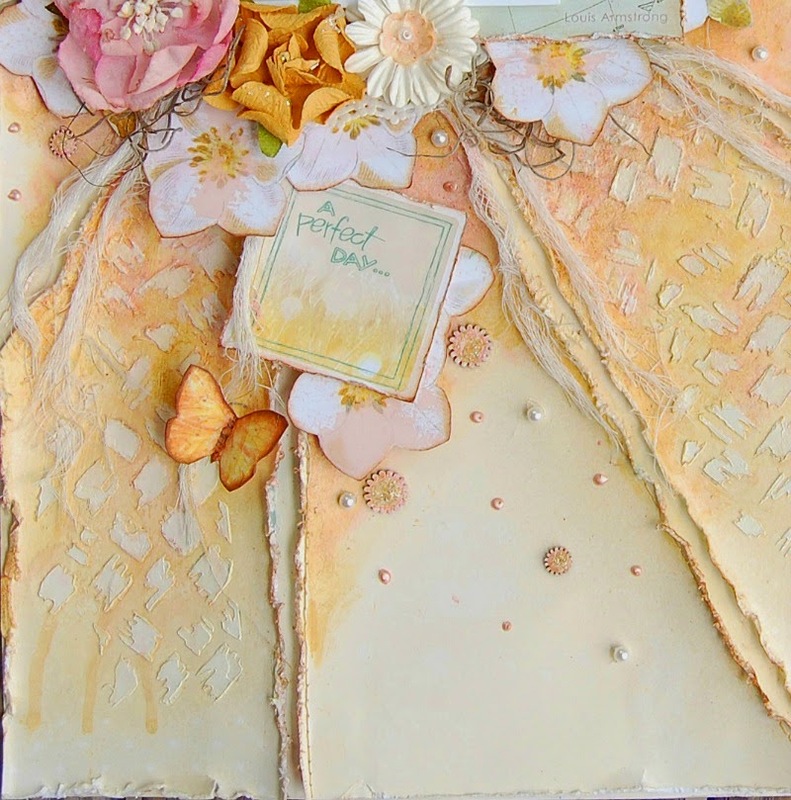 Beautiful work - I jsut love all the structure on your pages! Tons of eye candy on your pages!! 4 páginas!!!!! Y qué páginas!!! Todas maravillosas! Con un sello personal tuyo! Son divinas! Lindas! Y el tuto está genial! Tengo que probarlo!